If you are overwhelmed by the high price per square foot you are seeing to build, stop and look at this 6 year new home. Located in a hidden gem of a neighborhood off St. Anthony Church Road. This home has so much to offer. At $143 per square foot and that does not include the mostly finished basement (Square Footage per PVA). 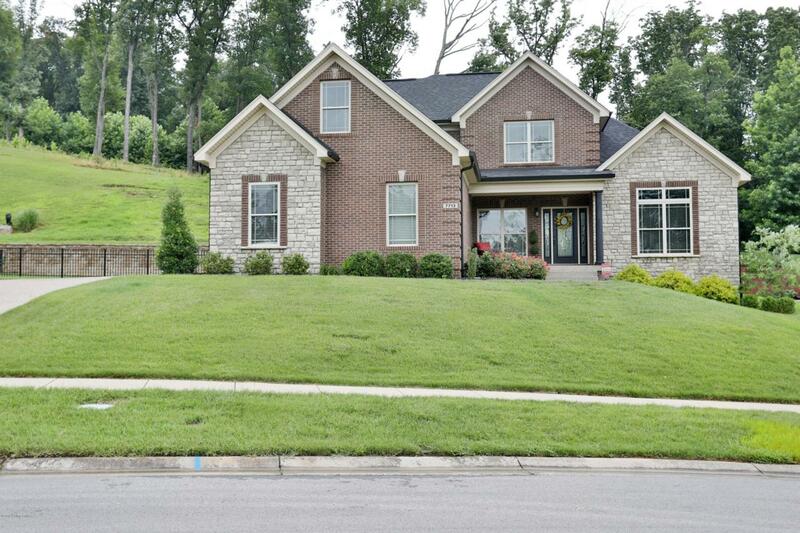 The sellers have upgrades galore in this open floor plan 1-1/2 story home. As you enter the home the large foyer takes you to either the formal dining room or the 2 story Great Room. The Great Room has lots of natural light and opens to the large modern kitchen. The kitchen has an abundance of granite counter tops and plenty of cabinets.There is a nice size pantry and the over-sized island seats 4. The patio doors from the great room lead to a covered patio that has a recently installed outdoor fireplace and the retaining wall provides privacy. The spacious master bedroom also has lots of natural lighting, a double vanity, a shower, and a whirlpool tub. Oh by the way, there is a hip trey ceiling and a large walk-in closet in the master suite. The upstairs has 3 nice bedrooms and a landing that overlooks the great room. The mostly finished basement has plenty of room to entertain. The nice size wet bar looks over the large family room. There is also two other rooms to use as you wish... maybe an office, game room or exercise room. The full bath in the basement tops off this special area. The additional features include a zoned HVAC system (2 units), security system, hardwood floors, a laundry chute upstairs, stained concrete floors in basement and more. The only way to appreciate this one is to come see it!